If you have recently purchased a telescope or have one in the cupboard gathering dust. Earthside Astronomy can help. 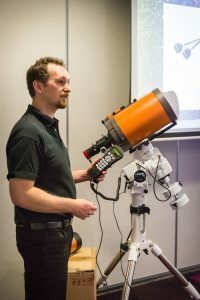 By the end of the night you’ll know more about setting up your telescope, which eyepieces to use and how to locate objects in the night sky. So before getting frustrated and advertising your scope on Gumtree, give us a call to start your life long fascination viewing the wonders of the night sky.